AJ celebrates his ELQ win with Liz, Michael and Alice. He thanks Alice for siding with him and saving ELQ. Alice tells AJ his grandfather would be proud. Alice and Michael leave, and give AJ and Liz some time alone. Morgan surprises Kiki with a candlelit dinner and a new dress. He tells her that he loves her, but she doesn’t respond. Later on, he gives her an engagement ring, but she’s worried about the cost. Morgan tells her he asked for help to buy it, and slips the ring on her finger. Morgan worries he may be pushing her too much, and points out she didn’t return his “I love you”. Kiki says she does love him, and the two make love. 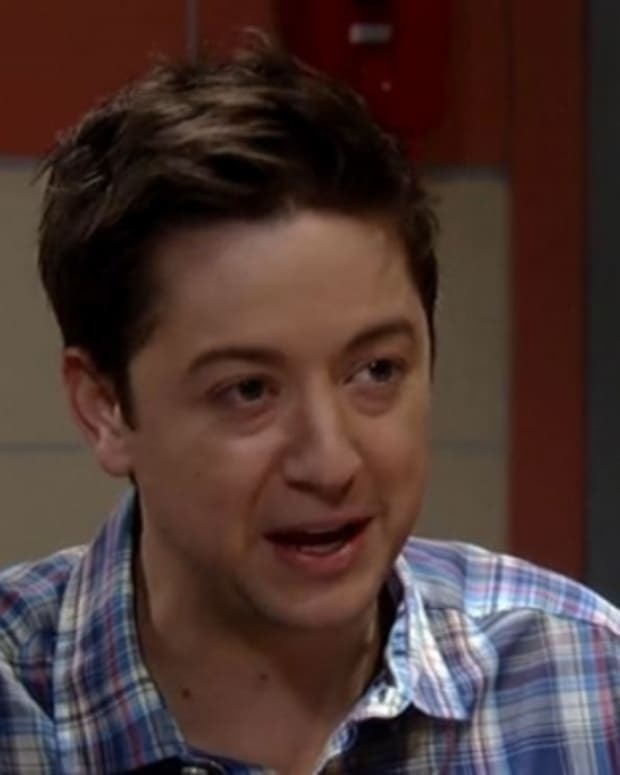 Alexis gives Mac an update on Danny, and continues to blame herself, because she doesn&apos;t know anything about Sam’s father. She explains about getting the first name via hypnosis. Derek happens into the bar, spots Alexis and tells her that she looks familiar. The two introduce each other, and Alexis realizes he’s the one who will publish the story for Sam. Derek tells Alexis that Sam’s story was bumped, because of a major scandal at ELQ. Alexis accuses him of giving Sam false hope. Silas tells a nurse to inform him the minute his DNA results are in. He also assures Sam there are other options. Sam tells him about her meeting with Derek, and his commitment to do a front-page story on Danny. Silas wonders if Sam is looking for closure from her father or a connection. Sam admits she’s curious about her father. Connie’s worried about Sonny’s reaction to her outing Kiki. He wants to celebrate her keeping his secret, and what it means to him that she’s putting his family over her company. Connie points out it’s also hurting Michael, but Sonny isn’t concerned. Connie mentions a lot of people will lose their jobs if the magazine closes, but again Sonny is more concerned about keeping the secret. He reminds her that she came from nothing, and built Crimson to what it was. He believes she can do it again with his help. Michael runs into Olivia, and the two discuss their very similar love lives. Olivia tells him that she stepped aside for Connie. Michael tells her that he stepped aside for someone he cares about, as well. The two toast to doing what’s right. AJ is thrilled to have Liz in his life, because he makes him want to be a better man. AJ wants to take their relationship to the next level. Liz admits it’s been a long time, and is gun shy. However, she feels AJ is the right guy, and agrees to spend the night with him. Connie tries to pull the story, but finds out she doesn’t have the authority. She calls Derek to complain, but he knew she would get cold feet and made the decision to run the story. 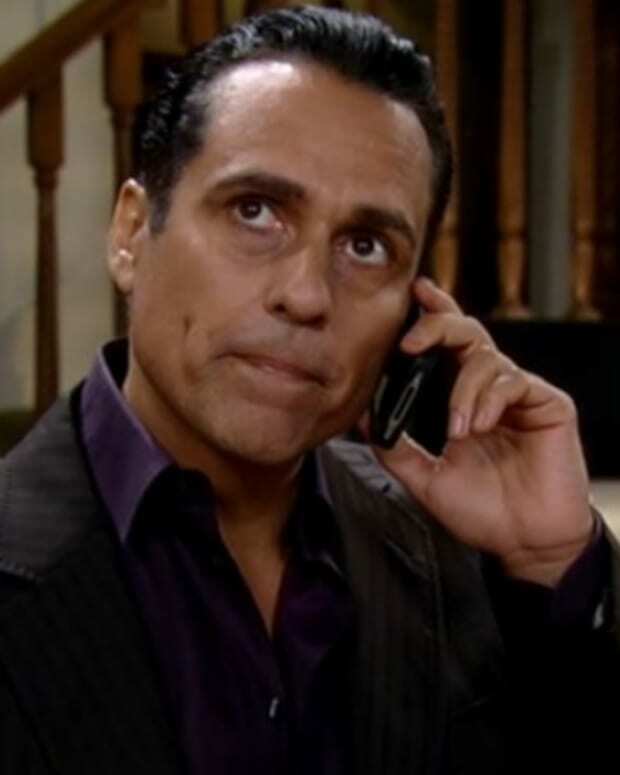 Connie somewhat warns Sonny of something pending; as she tells him she loves him no matter what. The two spend the night together. The nurse tells Silas his DNA results are ready. He tells her they can wait, and offers to stay with Sam for the night. AJ and Liz spend the night together.